Love Island is shaping up to be one of this summer’s hottest shows. The good news is that you can live stream Love Island online free even if you are abroad. In this post, we’ll let you know where you can watch it online, and show you how a Virtual Private Network (VPN) allows you to bypass regional restrictions and watch Love Island and other UK program from anywhere. Using a VPN, you can watch this and other shows, from the US, Canada, Australia, Germany, France, Thailand, and anywhere else in the world. What’s more, you can access other geo-restricted content such as sporting streams from BT Sport and Eurosport, and banking sites, including HSBC, Barclays, and Lloyds. Love Island airs every single day at 9PM BST (1PM PST / 4PM EST) on ITV2. If you’d like to stay safe online or watch Love Island from outside the UK, your best bet is to use a VPN. 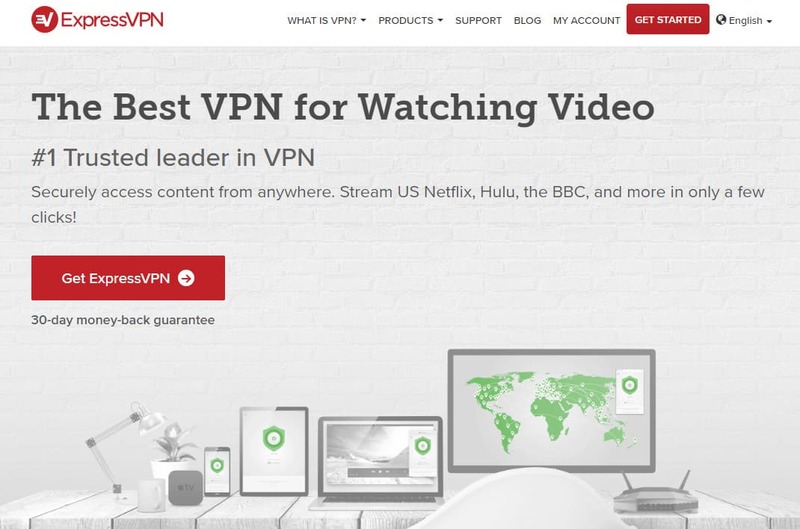 We recommend ExpressVPN: it’s a secure, easy-to-use service that’s perfect for people who like to stream. It offers servers in 94 different countries, above-average speeds, and the ability to unblock all of the most popular streaming platforms (including BBC iPlayer and ITV Hub). It only takes a minute to sign up. Simply choose a subscription length (one, six, or twelve months) and pay via your chosen method. ExpressVPN comes with a 30-day money-back guarantee, so you can claim a full refund if it doesn’t meet your expectations. This means that, for example, if you’re on holiday for fewer than 30 days, you can watch Love Island from abroad while trialing the service for free. THREE MONTHS FREE: Choose ExpressVPN’s annual plan to save 49% and get an extra three months absolutely free. Watching Love Island live online couldn’t be easier. All you have to do is sign up for a free ITV account, then sign in. Viewers in England and Wales (or connected to VPN servers in these countries) can then watch the ITV2 live stream using the online player. Scottish viewers will be directed to the STV Player with the message “Sorry – This video is not available to watch through ITV in your region.” Note that while Scottish users can create an ITV account, they’ll actually need an STV account to watch online. The ITV site doesn’t make it obvious, but you need a TV License to watch live content as it’s shown on TV. You don’t have to pay for a license if you only want to watch Love Island once it’s added to the ITV Hub’s on-demand library (usually a few hours later). Decide which VPN you’d like to use. We’ve recommended ExpressVPN above, but NordVPN and CyberGhost are both high-quality, low-cost alternatives. Download the VPN software, making sure to get the right version for your device’s operating system. Connect to one of your VPN’s British servers (or the appropriate country for international versions of Love Island). Try loading video on the ITV or STV website or app. Any error messages should disappear and the content should load almost immediately. While the Australian version of Love Island has finished up for now, you can watch every episode on-demand on 9Now. You will have to create an account, but it’s free. You’ll be asked to enter an Australian postal code, but that’s as far as the verification process goes. Note that an Australian IP address is required to access the site, but you can easily get one by connecting to one of your VPN’s Australian servers. Germany’s version of Love Island starts up again this fall. While there aren’t any on-demand videos for previous seasons, you’ll be able to watch every episode live on RTL II. This does require you to register for a service called TV Now, which costs €2.99 a month. How do I use a VPN to unblock other streaming platforms? Firstly, go to your VPN provider’s website and download the correct version of the software for your device. The application will ask you to log in, and afterwards, will provide you with a list of locations you can connect to. It’s usually obvious which country you’ll have to connect to. For instance, ITV Hub and BBC iPlayer both require a British IP address, so you’d use a UK server. Similarly, you’d need a US server to access American platforms like CW TV and Hulu. Do I need a VPN if I’m in the UK? 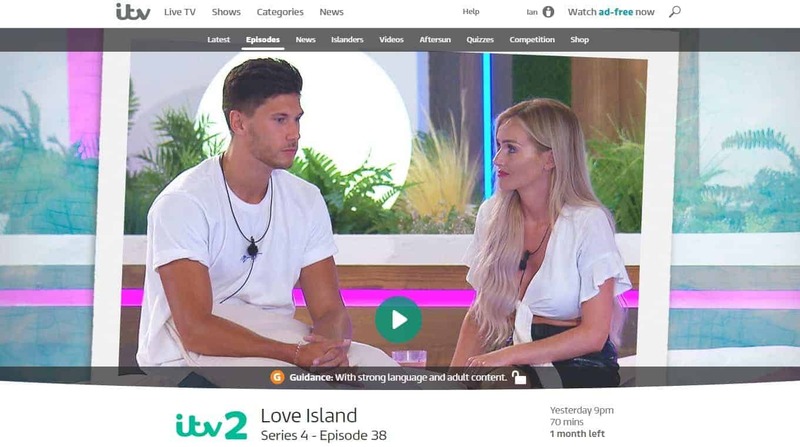 While you can watch Love Island without a VPN from within the UK, we’d recommend using one anyway. Various Internet Service Providers (ISPs) have been known to reduce your internet speeds if they decide you’re streaming too much. A VPN hides your activities so this kind of restriction becomes more difficult for ISPs to justify. Further, VPNs prevent most types of Man-in-the-Middle attack and greatly increase your online security. Why can’t I watch Love Island even though my VPN is connected? There are a few reasons why you might still be encountering issues despite your VPN being connected. First, make sure you’re using a UK server. This is a common issue, but one that’s frequently overlooked. Next, check your ITV account details. Even if you’re using a suitable server, the postal code you entered during signup will decide whether you use the ITV or STV player. To make sure you get access to all of ITV’s shows, we recommend using an English postal code. If you’ve tried the above steps and are still having problems, try contacting your VPN’s customer support team. Occasionally, services upgrade their geo-restriction measures. This can lead to short periods of inaccessibility, but usually, your VPN provider will still have some servers which work. Customer support should be able to tell you which servers to use in these situations.